Former world champions John Higgins and Neil Robertson and world number five Judd Trump were all knocked out in the fourth round of the English Open. World number 105 Luo Honghao beat Robertson 4-2 to set up a quarter-final against Ronnie O’Sullivan on Friday. 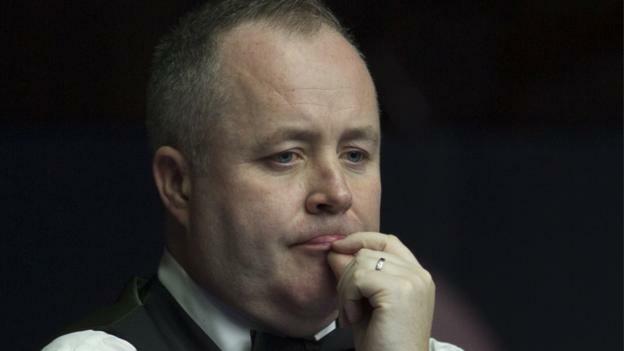 Higgins, who earlier this week claimed he had lost his appetite for snooker, lost 4-2 to Mark Davis. Trump, the 2011 UK champion, lost 4-2 to Ryan Day who hit breaks of 83, 136 and 132. Defending champion O’Sullivan beat Israel’s Eden Sharav 4-1 with breaks of 76 and 72. Earlier, ex-world champions Mark Williams and Shaun Murphy, plus 2013 Crucible runner-up Barry Hawkins, went out in the third round. Elsewhere in round four, 2015 world champion Stuart Bingham thrashed Ricky Walden 4-0 and Thailand’s Noppon Saengkham edged past Robert Milkins 4-3. Ali Carter also progressed with a 4-3 win over Daniel Wells and Stephen Maguire beat Zhou Yuelong 4-0. Previous articleTrump threatens to seal U.S.-Mexico border over migrant caravan. Can he do it?